Omega Fatty Acids - So Many Benefits For Your Pets! Omega Fatty Acids- So Many Benefits for Your Pets! Omega Fatty Acids, particularly, Omega 3 and Omega 6, are becoming very common supplements to our pets diet. There’s a reason! They have many benefits (as they do in humans) and are known to help your pets’ skin and coat. The Omega fatty acids can also help with digesting fat-soluble vitamin absorption, reduce inflammation, boost energy and help your pets’ metabolism. Fatty acids are specific types of polyunsaturated fats. Omega 3 fatty acids and Omega 6 fatty acids are both in your pets’ cell membranes throughout the body. When the cell membranes are damaged, fatty acids are released. Released Omega 6 fatty acids are much more likely to promote inflammation than are Omega 3 fatty acids. Inflammation is beneficial if there is an infection your pet needs to fight. Most pets, however, have health problems caused by too much inflammation so most pets benefit from supplements with higher concentrations of Omega 3 fatty acids. 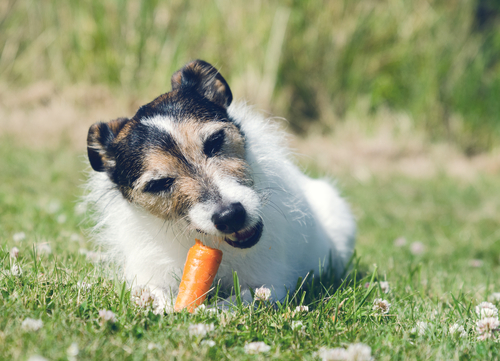 Which fatty acids do pets need? Our pets can produce some of the fatty acids they need, but not all. Those fatty acids which they can’t produce themselves, but must be obtained through their diet are called ‘essential’ fatty acids. What is essential for one type of animal is not necessarily essential for another. For example, the fatty acid, arachidonic acid is essential for cats, but not for dogs. Linoleic acid is an essential fatty acid for both dogs and cats and need to be in their diets. There are numerous benefits of Omega Fatty acids. They can help treat your pet’s flea allergy dermatitis, skin conditions, arthritis, kidney disease, FIV, feline leukemia virus, and cancer. Omega 3 helps control your pet’s inflammation, ease arthritis pain, benefit the heart & kidneys, increase trainability, and improve mood. Omega 6 helps your pet fight infections and promotes healthy skin and a shiny coat. In some disease conditions, certain enzymes which convert one fatty acid to another may be deficient, or your pet might not be able to adequately absorb fatty acids from the intestine. In pets with these conditions, some of the ‘nonessential’ fatty acids actually become ‘essential,’ that is, required in the diet, and in higher amounts. Deficiencies of fatty acids may also occur with the use of fat-restricted diets in some overweight pets. There are few side effects of fatty acid supplementation. The most serious, but rare one is pancreatitis. This is an inflammation of the pancreas that can cause pain, diarrhea, vomiting, and dehydration. Since fatty acids are polyunsaturated fats, they do add calories. 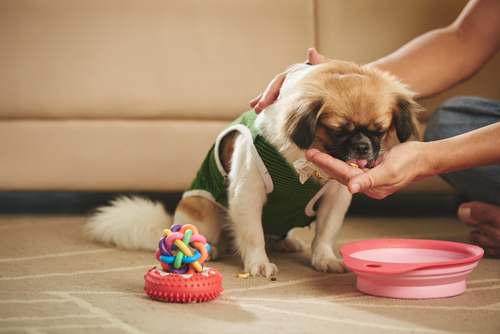 If your dog or cat is on large doses of fatty acids, a pet food lower in calories, and fewer treats, may need to be given to prevent weight gain. 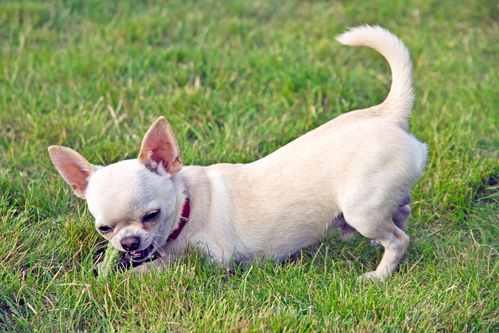 Some pets may develop diarrhea from fatty acid supplements. But, if your start supplementing a low dose and gradually work up to the correct dose can help alleviate this problem. If fatty acid supplementation is necessary for your pet, there are some things to keep in mind when buying the supplements. First, make sure to buy your supplements from a reputable company with good quality control measures. The potential for excess vitamin A and D or toxins such as mercury exists. Fatty acids can get rancid quickly. Always check the expiration date and buy your supplements in small quantities that you will use up in a month or two. Even if the expiration date says it is good for two years, oxidation occurs the moment you open the bottle. 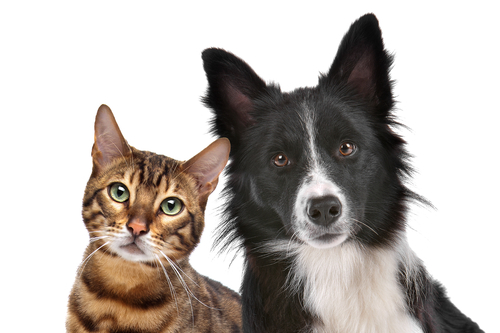 There are many benefits to supplementing your pets with Omega fatty acids. As always, check with your veterinarian to see if they can help your dog or cat and the recommended dosage.